At Green Box Solutions, we pride ourselves on providing simple, easy-to-understand information and advice about the aging process. In this printable, simple post, we’ll define some of the most common legal documents and terms related to estate planning and old age, so that you can have what you need to plan the future for yourself, or for your loved one. Remember – everything you need is in the Green Box! At its simplest, a will is a legally binding document written by a person that sets forth the actions that will be taken with regards to their property after they die. In it, an executor is named – which we’ll discuss in a moment. The basic requirements are very minimal. Any person over the age of majority and sound in mind may write a will, with or without the aid of a lawyer. Depending on the jurisdiction, the will may be required to be notarized, witnessed, signed, and otherwise verified by other third-parties to ensure its validity. Generally, it is helpful to have a lawyer help draw up a will – this will prevent any mistakes that may complicate the dispensation of property and other administrative tasks. The executor is the individual who is responsible for carrying out the wishes of the deceased person as set forth by their will. This can mean taking care of anything from disposing and dispensing property to paying bills and taxes. Usually, executors are direct family members – spouses, adult children, and parents are the most common executors. 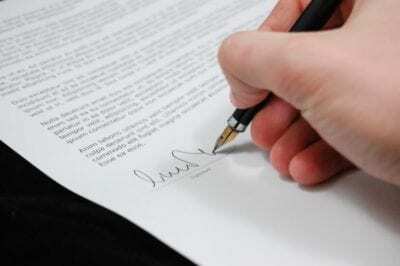 A Power of Attorney is also known as a durable power of attorney. This document allows the individual who has been given power of attorney to act fully on the behalf of the individual who drew it up, otherwise known as the principal. Should the principal become physically or mentally incapacitated, this power endures – hence, “durable” power of attorney. Healthcare Power of Attorney – These documents give the named individual the rights to make decisions on your behalf with regards to healthcare, but disallow access to financial documents and other resources, focusing only on care. Limited Power of Attorney – These instruments can provide an individual with the power to act for the principal for only certain functions – usually financial in nature – such as trading authorization, disbursement authority, fee-payment authority, and other financial tasks. Having a power of attorney is a good idea for any elderly person – knowing that you have a durable power of attorney in case of a sudden injury, decrease in cognition or health, or other such situation allows for easier navigation of the legal system. An “intestate” is any individual who dies without a will – they have not set forth any guidelines or instructions as to what is to be done with their estate. In this case, an executor will be chosen by the state – usually a spouse, adult child, or parent, depending on the situation. Then, the individuals who receive dispensation are determined – usually only spouses, registered domestic partners, and relatives related by blood will inherit under intestate succession laws. Unmarried partners, charities, and friends will get nothing. Generally, a surviving spouse will get the largest share of property, followed by the children. Should there be no spouse or children, more distant relatives may inherit property. Should the state be able to find no valid inheritors, the state will take the assets. Probate courts are courts that specialize in matters of estate, and are responsible for administering, verifying, and legalizing the provisions of a specific will. They also ensure proper administration of the assets of a decedent, verify the validity of a will, and ensure that executors and administrators of estates behave properly. Should conflict arise over the provisions of a will, or an individual be held intestate after death, these courts are responsible for adjudicating. Should an individual be in a situation where they can no longer express informed consent – mental decline, severe injury, comatose, etc. – a living will provides express instructions in a written statement regarding a person’s desires about their medical treatment. These advance directives often include specific orders about resuscitation and the means by which medical professionals may attempt to revive said individual – or may discontinue treatment. At Green Box Solutions, we’re dedicated to making aging easier – and understanding these concepts is crucial to making end-of-life decisions and estate planning. Contact Green Box today to learn more information.